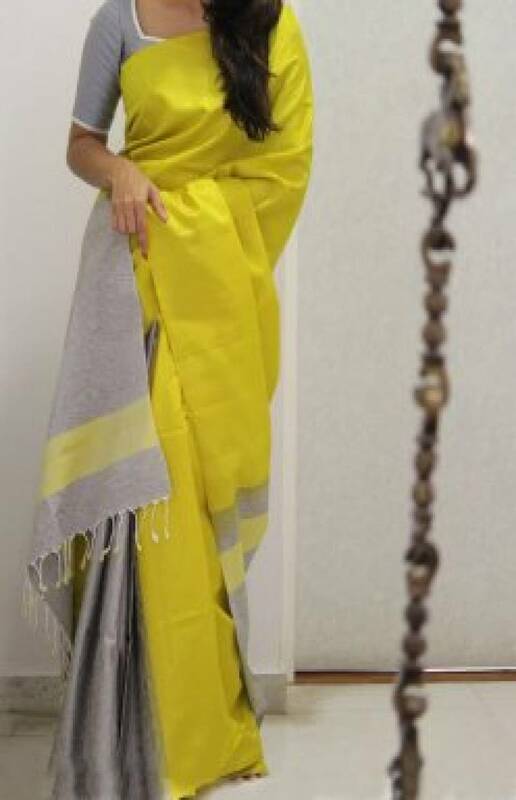 This yellow color soft silk fabric saree features with designer pattern saree. Saree comes along with unstitched soft silk fabric blouse piece having similar work as shown in pic. Perfect for festivals and occasions. True magnificence comes out of your dressing style and design with this deisner multicolor soft silk printed saree. The saree is made out of soft silk fabric which light weight and it's also comfortable to wear all day long. Saree comes along with un-stitched soft silk blouse piece which can be stitched as shown or as per your requirement. Suitable to wear for family functions social outings and parties. Team it with classy accessories to make your looks more beautiful. Buy this saree now as it's a unique piece with attractive color combination which is rare to find.